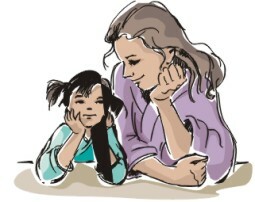 What can you do with the kids, while they are waiting for Christmas Dinner? How about have them make Poinsettias decorations? This pattern is almost like a folded snowflake, or try a different paper poinsettia where you make each petal and glue them together. You can find lots of Christmas craft ideas for decorations, tree ornaments and even some gifts you can make. Or would you like to read about where some of our Christmas customs came from? Looking for some new ideas for celebrating Christmas? Don't forget to check out these great kids gift ideas. Start with any square piece of red paper. If you are using a standard sheet of paper, take a bottom corner and diagonal fold it across to the opposite side of the page. Cut off the 2.5 inch strip at the top of the page to create an 8.5 x 8.5 sheet of paper. Fold it in half. Fold it in half again creating a smaller square. One corner will be all folds, the other three corners will have some open edges. Finding the fold corner is key to making a poinsettias. Turn the paper so that the fold corner is at the bottom. 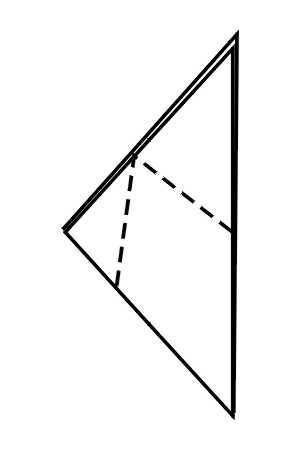 Fold the corner on the right side over to the left side. You should now have a long, triangular paper, with the fold corner still at the bottom. The dotted lines show where to cut to create your poinsettias. Throw away the two, small, triangular sections that are cut off. 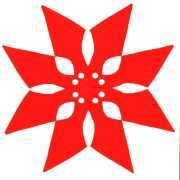 Once you've got the right shape, cut two partial circles to create the petals. If you have a hole punch, you can create the hole shown in the diagram. 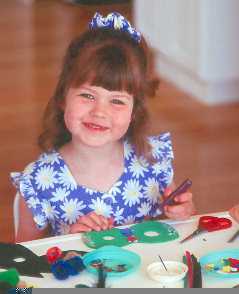 The children can use glitter glue to decorate their poinsettias. Find out more about poinsettias and how they became part of the history of Christmas. Find more ideas to make Christmas ornaments and Christmas decorations. 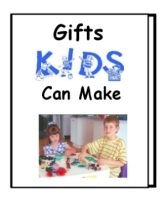 You will find lots of craft projects in the free Kids Crafts and Activity Library.